Auto tourism has long been a popular activity, especially among young people. Everyone likes to rush on the highway at the high speed and admire the surrounding scenery. However, it’s important to choose the right car for the journey to be comfortable. It should be also taken into consideration that safety and reliability are also important features, especially if driver is young and doesn’t have much driving experience. Therefore, when choosing a car, we must additionally pay attention to advanced safety functions, such as electronic stability control and side airbags. So, what cars are the best for young travelers?.. This car features a comfortable spacious interior and a large trunk (492 l) with additional seats for two passengers, and a lot of pockets for different needs. Chassis of Kia Carens is great for long-distance traveling. The car is very stable – it passes sharp turns at high speed without any problems. Turbo-diesel engine with a volume of 1.7 l and the power of 136 hps is quite enough for normal movement. With a quiet driving outside of the city, the car spends only 6 liters of diesel fuel per 100 km. In the city the consumption is increased to 8 liters. Carens’ interior is very comfortable and provides enough space for passengers. Therefore, many young people who like traveling will choose this car. This is a small stylish house on wheels, which will be convenient for passengers, and spacious for luggage. Roomster is divided into three distinct ‘rooms’ – the first row is for the driver and his fellow traveler, the second one is for the other passengers, and the backside row can be used for personal belongings. The rear passenger seats are located slightly higher than the front seats, allowing passengers to admire the local scenery. The high car body allows you to comfortably accommodate not only people with different height, but also take the dimensional things that will be useful in traveling (for example, a bicycle). If you need to take a lot of different things to your trip, then this won’t be a problem for the driver of Roomster. A special system for the transformation of passenger seats will allow you to increase the luggage compartment up to 1780 liters. At the same time, the car’s carrying capacity is 525 kg. On this car you can travel with your best friends, and also carry a lot of belongings. According to the manufacturers, this car is designed for young people who like traveling. C4 Picasso combines beautiful design with convenience and comfort. The car has a durable body and is considered to be the safest in its class. The interior is also of a high standard: it’s amazingly comfortable, and a panoramic roof will allow you to fully enjoy the trip. By the way, the front passenger seat is equipped with a footrest and a lumbar pneumatic massager. This is an excellent solution for long journeys. However, passengers of the second row won’t be deprived of comfort too. Separate adjustable chairs can accommodate three adults without any problems. Folding tables with bookcases, adjustable ventilation deflectors, sockets and sun blinds are also available. 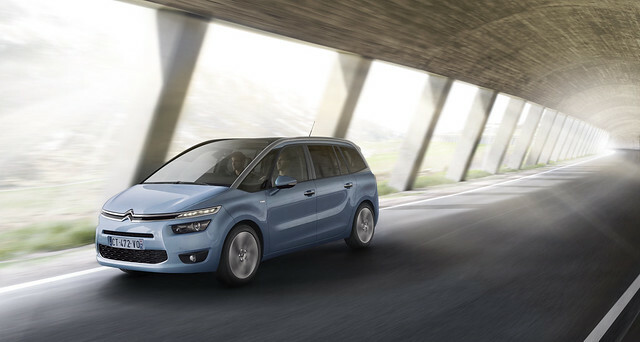 Grand C4 Picasso is equipped with a 1.6-liter petrol engine of 150 hps. Fuel consumption is up to 7 liters/100km. 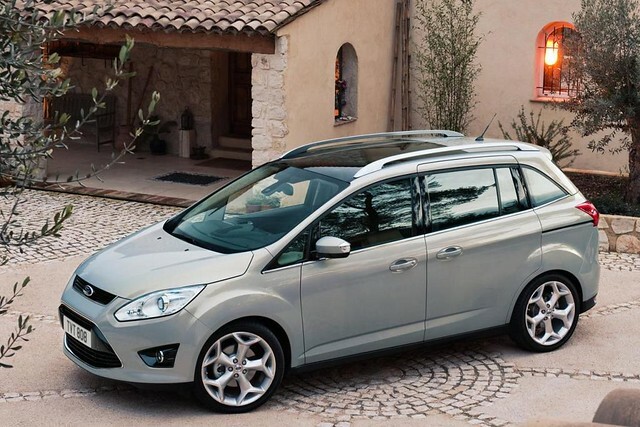 This 7-seater is perfect for traveling with a big company of friends. The original salon allows you to fold the center seat of the second row, which opens the passage to the rear row of seats. Sliding rear doors expressively complement the silhouette of C-Max, allowing you to easily reach the rear part of the car. The trunk door can be opened with the button on the key – it’s convenient when the hands are very busy. If passengers forget to fasten their seat belts, the system will sound a beep with a sound signal, taking care of their safety. The turbocharged petrol engine is economical and environmentally friendly, so traveling will not be very burdensome in terms of money. Volkswagen Touran is ideal for traveling. 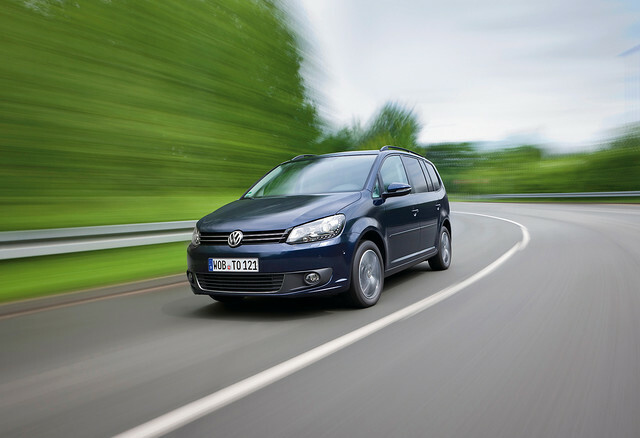 Touran is a roomy and practical five-door compact MPV, equipped with side swing doors. The interior of the car features strict colors, and German rationality. The finishing materials are high-quality and wear-resistant. There are many different pockets, niches and glove boxes. The backs of the front seats offer comfortable folding tables. Functional system of salon transformation allows solving any problems. The luggage compartment is quite spacious (695 liters), and if you fold the back seats, you get over 1990 liters of volume. This is enough for transportation of large belongings. VW Touran is available with a diesel or petrol engine. The diesel version is especially fuel-efficient (up to 6 l/100 km), so the journey won’t be very expensive. 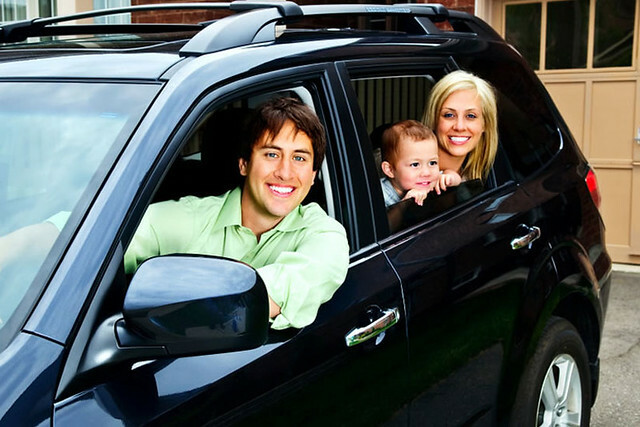 Each of the above-mentioned cars is great for traveling. 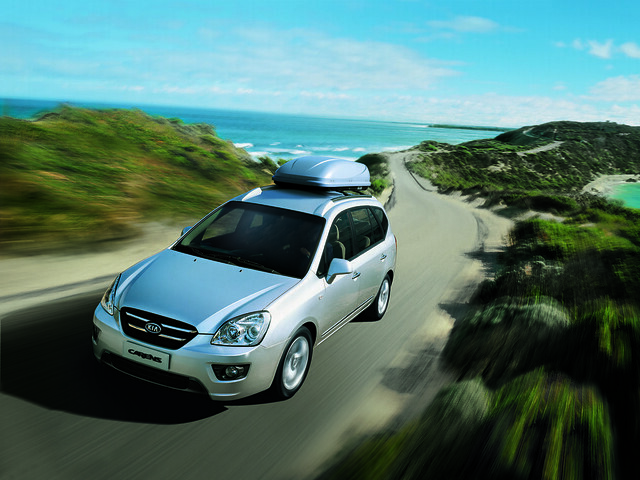 These cars feature comfortable interior, quite spacious luggage compartment and offer incredible functionality. In addition, they look very stylish and are very fuel-efficient, which are the decisive advantages when choosing a car for a young driver. If you decide to have a nice car journey with your friends, you can rent any of these vehicles anywhere you need. The only condition is that you should be at least 25 years old. However, in some destinations, Under 25 car rental is also available.